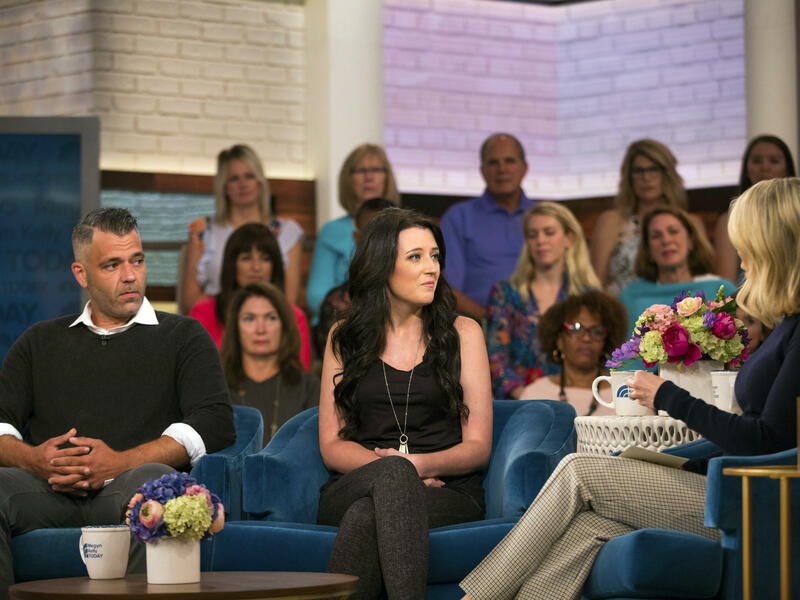 Mark D'Amico and Kate McClure (center) speak with Megyn Kelly during a recent appearance on Megyn Kelly Today. The couple set up a GoFundMe page for homeless man Johnny Bobbitt, but his lawyer says the money is gone and little of it went to Bobbitt. When the feel-good story about a chance encounter between Johnny Bobbitt and Kate McClure that changed both their lives hit the daytime TV circuit, he said her generosity inspired an "indescribable" feeling in him. But less than a year later, that feeling has become devastation, according to his lawyer. Bobbitt and his attorney say that more $400,000 raised by McClure and her boyfriend in a GoFundMe campaign intended to lift him out of homelessness, has vanished without ever reaching him. But Bobbitt's lawyer, Chris Fallon, argues the couple have failed to deliver on any of their promises. They didn't buy Bobbitt a house, they bought him a trailer, registered it under McClure's name and parked it on her family's land. They didn't buy Bobbitt's dream car, they bought him a different used car, also registered under McClure's name. It has since broken down. The salary never materialized and neither did the investments. And now, all of the money is apparently gone. In an interview with CNN, Fallon said that by his accounting, "there should be close to another $300,000 available to Johnny." Both McClure and D'Amico have repeatedly denied the allegations that they've dipped into Bobbitt's funds. They argue they've maintained control of the donations to protect the Marine veteran, who is a drug addict. Bobbitt now says he never wanted the SolAire camper the couple bought. But in an April interview with the Inquirer, he said, "I want to experience life. That's why I bought a camper — so I could go hunting and fishing."